Our brains are made up of almost 100 billion brain cells. Each of them acts like a small chip: they collect, process and pass on information in the form of electrical signals. In brain areas that integrate different types of information, such as frontal and temporal lobes, brain cells have larger dendrites – long projections specialized to collect signals. Theoretical studies predict that larger dendrites help cells to initiate electrical signals faster. Because of difficulty in accessing human neurons, it has been unknown whether any of these features also relate to human intelligence. Previous studies have revealed that people with a higher IQ have a thicker outer layer (the cortex) in areas such as the frontal and temporal lobes. But does a thicker cortex also contain cells with larger dendrites and is their role different? To test whether smarter brains are equipped with faster and larger cells, Goriounova et al. studied 46 people who needed surgery for brain tumors or epilepsy. Each took an IQ test before the operation. To access the diseased tissue deep in the brain, the surgeon also removed small, undamaged samples of temporal lobe. These samples still contained living cells and their electrical signals were measured in the lab. The experiments showed that cells from people with a higher IQ had larger dendrites that transported information more quickly, especially when they are very active. Computer models were then used to understand how these findings can lead to more efficient information transfer in human neurons. 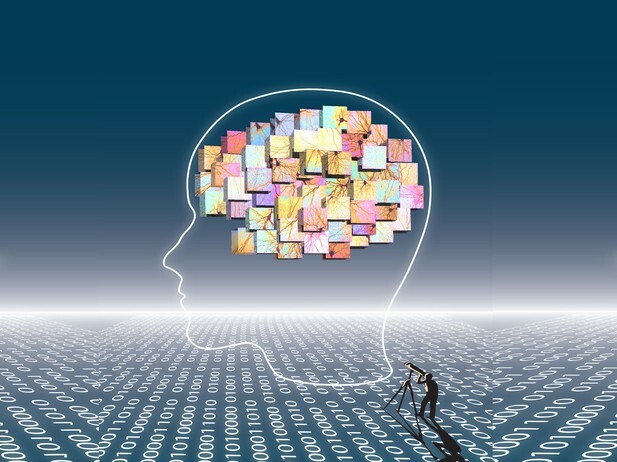 Traditionally, research on human intelligence has focused on three main strategies: to study brain structure and function, to find genes associated with intelligence and to study the connection between our mind and behavior. Goriounova et al. are the first to take the single-cell perspective and link cell properties to human intelligence. The findings could help connect these separate approaches, and explain how genes for intelligence lead to thicker cortices and faster reaction times in people with higher IQ.